New 2010 collaborative album tracklist and release date - review coming soon! The former Kinks front-man on stage earlier this year. See My Friends, the new album from former Kinks singer Ray Davies is due out 1 November in Europe (US release is scheduled for early 2011). 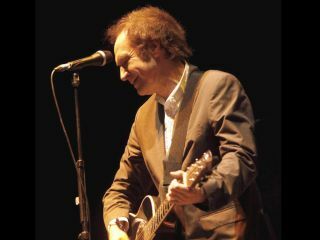 The album is a collaborative record, featuring Davies reworking Kinks classics with the help of a star studded line-up. Check out the tracklisting below. MusicRadar will be bringing you a full review very soon. Check out a short preview of the collaboration with Metallica in the video below. We at MusicRadar have heard See My Friends and can tell you it makes for some interesting and entertaining listening. Expect all the info and a full verdict in our track-by-track review later this week.